Another problem was the flood of promotes that slowly clogged the homepage. I came up with a dynamic main promote area, which allows for "X" amount of promotes, without pushing the page deeper and deeper. 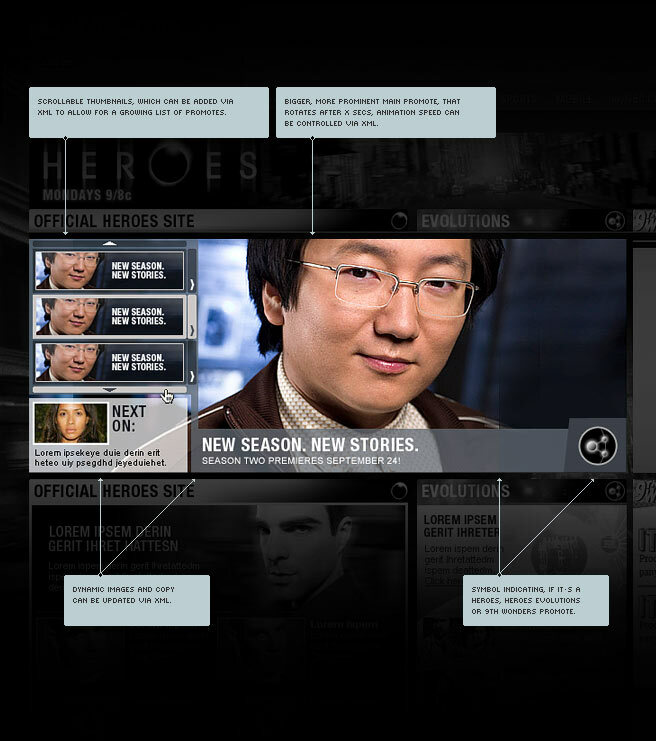 This solution was actually quite successful and became the blueprint for other NBC show sites.